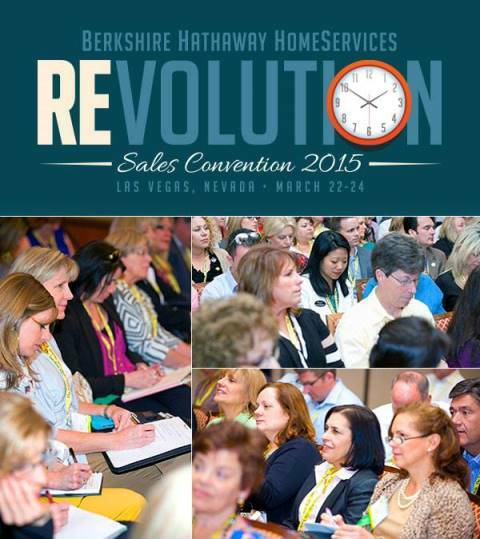 The convention takes place March 22-24, 2015, at the Mirage Hotel and Casino in Las Vegas, NV. Continuity Programs’ exhibit will be located at Booth #219. Please visit Marketing Experts, Dink Card and Debra Pearse, to learn about Continuity’s new developments and get some samples and coupons. The Revolution Sales Convention 2015 offers real estate agents, brokers and associated professionals opportunities to learn more about the real estate industry, sharpen sales and presentation skills, and increase business in multiple areas of real estate. A roster of expert speakers will offer informative, inspirational and motivational presentations that will benefit attendees both personally and professionally. General sessions – A general session will be held early in the day on Monday, March 23, and Tuesday, March 24. The general sessions will include speakers, awards, presentations and announcements. University sessions – Educational and informative university sessions will be conducted in the afternoons of March 23 and March 24. Sessions will be designed for specific audiences, including sales professionals, brokers/owners, office managers and relocation professionals. All-audience sessions will also be available. Topics will include using technology to improve your real estate business, creating persuasive presentations, managing a modern office, using and profiting from social media, prospecting and marketing, and maximizing personal finances. Super session – A high-intensity session will feature keynote speaker Matthew Ferrara, who will teach attendees how to make use of storytelling, literature and creative writing to make listings, presentations and personal anecdotes more compelling and persuasive. Multiple networking events will give attendees the chance to mingle with colleagues and make new connections with other professionals in attendance. An awards and recognition ceremony will recognize some of the high achievers and their stellar accomplishments throughout the year. Continuity Programs will be in attendance, as well as exhibiting at the convention. Convention attendees can get all the details about real estate marketing, lead generation and customer retention solutions for Realtors, brokers, sales managers and other professionals in the real estate industry.